PPSC has announced hundreds of jobs of Lecturers for different subjects. The Lecturers (both male & female) will be recruited for Special Education Department Punjab. Numbers of seats for each posts is published in the advertisement for these jobs. PPSC will recruit lecturers for the following subjects. 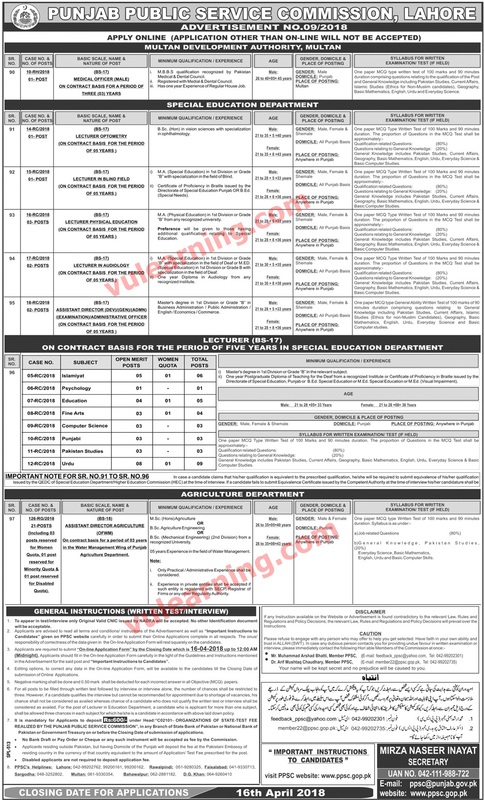 The last date to apply for lecturer jobs in PPSC is 16-04-2018. You can download the advertisement from the link given at the end of this page. Lecturer In Blind Field .